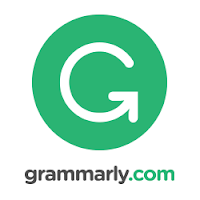 I recently had the opportunity to try a premium account with Grammarly and was quite impressed with this grammar and spelling editor. This web-based software is gaining popularity rapidly and offers users a freemium style account format. The free account will give you the ability to upload your own Doc or create a new one from scratch. Once created or uploaded your Doc is checked for five common issues: spelling, grammar, punctuation, sentence structure, and style. Users have the option to download the final edited version as a text file and can bring that back into any text editing software such as MS Office or Google Drive. For a monthly, quarterly, or annual fee a user can go premium and access additional features such as, but not limited to, a plagiarism checker, vocabulary enhancement, and even professional proofreading services. Enterprise solutions are also available for volume or whole campus purchasing. For those who like other integrations, they also offer users a Chrome extension that works seamlessly with other popular sites such as Gmail, Facebook, Twitter, Tumblr, and LinkedIn. You can even download/install their Microsoft Office Add-in for Windows or desktop application for OSX. Sign-up for a free account today! Both students and teachers will appreciate the helpful tools that Grammarly has to offer.